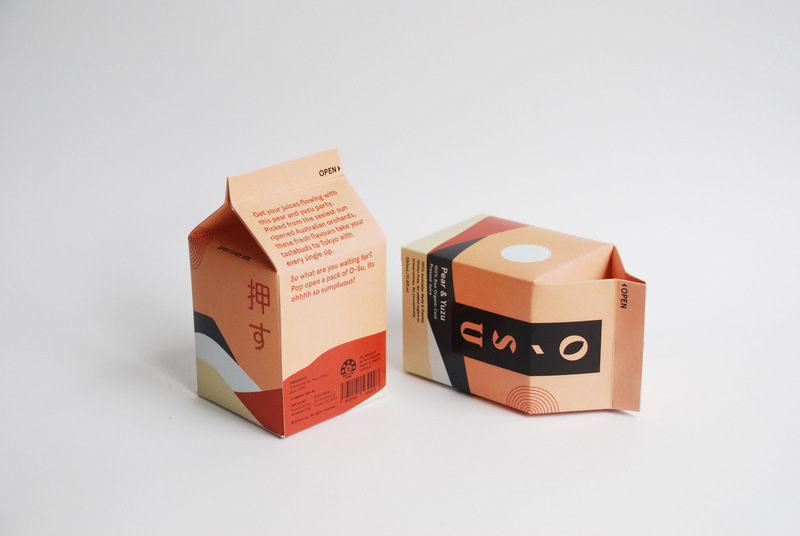 O-SU, is a design concept for a Japanese inspired raw, organic, cold pressed juice brand. It is a premium juice, designed to appeal to the up-market. A clear UV varnish covers the logo adding a touch of finesse to this fun, illustrative design. 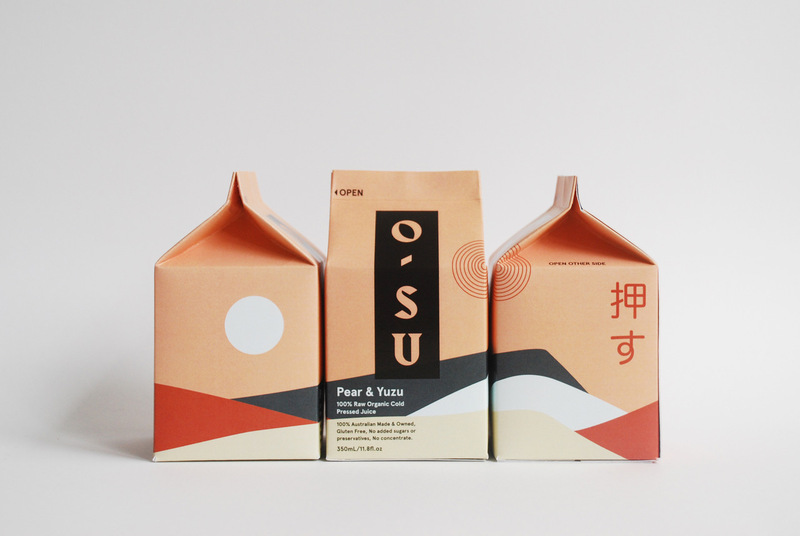 This juice aims to pay homage to iconic Japanese graphics. 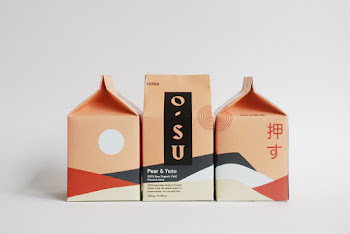 From the bright colours, to the vertical type and inclusion of Japanese characters, this carton screams oriental (topped off with pear and yuzu flavor of course). 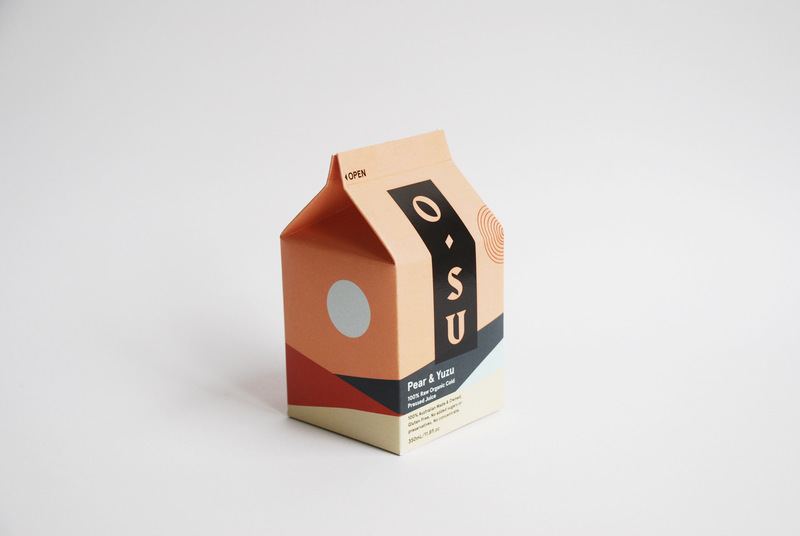 O-SU fills a gap in the market for a premium juice brand that is packaged in a carton, therefore differentiating itself from competitors. 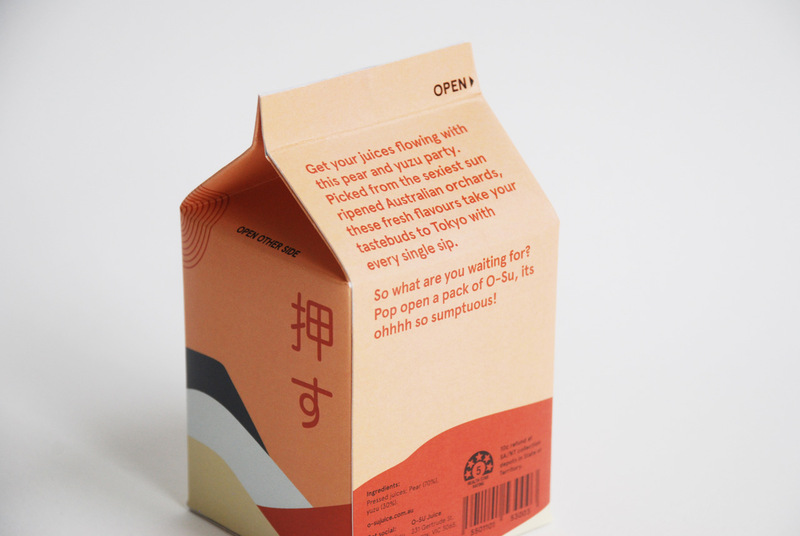 The design is finished with light-hearted copy, to communicate that while it is a top of the range juice it is not to be taken too seriously.